Robin Hood and King Arthur are both characters seen in stories that might be considered fairy tales. In both cases, there seems to be no real author of their stories and no version which is more true than any other. 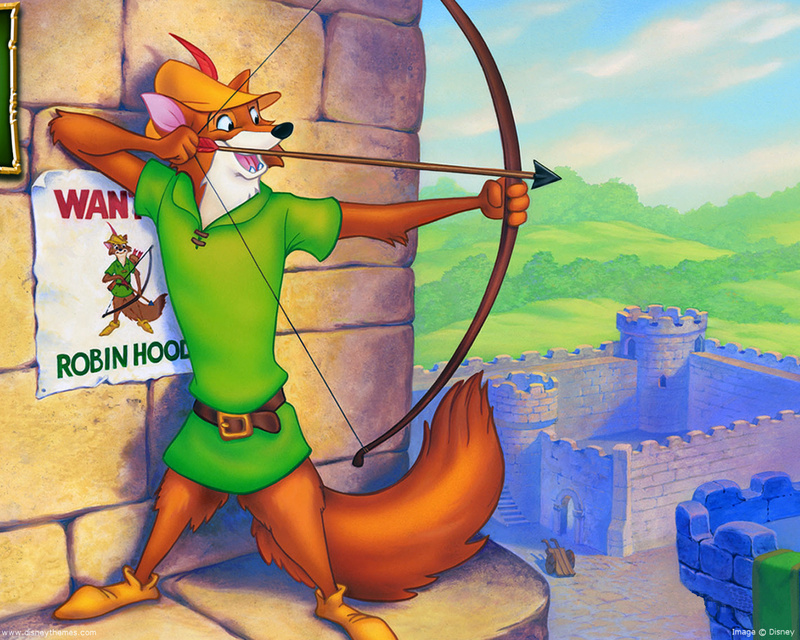 Robin Hood appeared as a fox in Disney's 1973 film "Robin Hood." In fact, their stories are often retold by the same authors who spend their time retelling fairy tales. For instance, Robin McKinley, who has written many retold fairy tales (My favorites of hers are “Rose Daughter” which retells “Beauty and the Beast” and “Spindle’s End” which retells “Sleeping Beauty.”), tackled the story of Robin Hood in her book “The Outlaws of Sherwood.” Similarly, Garth Nix, who wrote “Hansel’s Eyes” (the best retelling of Hansel and Gretel I’ve ever come across), retold part of Arthur’s story in “Under the Lake,” a tale about the Lady of the Lake, Merlin, and Excalibur. Not only that, but both of them starred in Disney versions of their tales; “Robin Hood” was released in 1973 and “The Sword in the Stone” which was based on the first section of T. H. White’s Arthur retelling “The Once and Future King” was released in 1963. Although the existence of both is debated by modern historians, there is some evidence that each of them may have existed in real life. Robin first cropped up in ballads of which the oldest surviving is “Robin Hood and the Monk,” which dates to about 1450 A.D. and contains many of the characters and details which we still associate with Robin Hood today. Arthur supposedly ruled Britain in the late 5th and early 6th centuries, according to medieval histories and romances. The first datable historical reference to him appears in a 9th century Latin text. Although it is possible that these men have only ever existed in folklore, it is also quite likely that they were once real people who have now become the stuff of fairy tales; their stories have been romanticized, made magical, and ingrained as part of our cultural knowledge. They are retold in books and films every year. Robin Hood alone has been the main character of more than fifty films and television series, and has been featured in episodes of many shows. It might be strange to imagine a historical figure becoming the stuff of legend, but it actually still happens today. We all heard the story of George Washington and the cherry tree, as children, but that is actually a fabricated tale; no such event ever took place. We also learned that he had false teeth made of wood. In reality, however, they were carved of fine ivory and gold. Compared to Robin Hood and King Arthur, George Washington is a fairly recent historical figure. Despite this, his life is already becoming the stuff of legend. In all likelihood, the tale will become more fanciful over the years. Who knows? Five centuries from now, George Washington may be remembered as a fabled warrior like Arthur or a great wizard like his mentor, Merlin.